While Oriental, Persian and Turkish rugs have been woven for centuries, only in the past 200 years have these handmade rugs become a globally traded export. 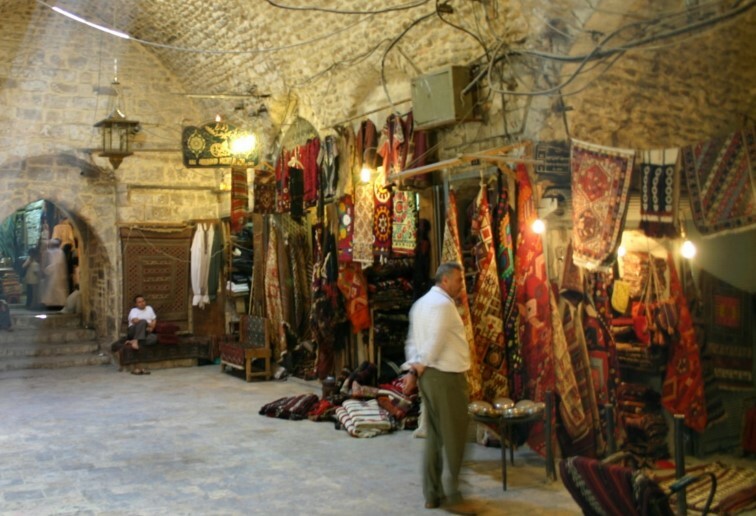 Before the 19th century, rugs were largely a local affair. During this time, rugs were produced by the hands of single artists or larger collectives who manufactured the articles in Eastern European and Asiatic cities to be given as gifts, sold in nearby markets or solely used by the artists themselves. Despite the fact that rug production has grown immensely over the past two centuries, many of the same countries still account for a vast majority of rugs making it to the international market. And it was from these countries that the art of rug weaving spread broadly into Europe and elsewhere. Nonetheless, in spite of it being a cherished art and tradition in the West, purchasing imported Oriental and Persian rugs has overtaken the practice of rug making to a large degree. With this in mind, let’s examine these top 4 Oriental rug exporters in the entire world. Not only is India the leading rug exporter in the entire world, but the country has held this title for a considerable amount of time – decades, in fact. While the country still produces carpets by hand in some areas, particularly smaller villages, machine-produced rugs have become big business for the country of more than 1 billion people. It should be noted, however, that handmade Indian rugs have become quite notable for their quality in recent years, due to higher knot counts and a wide selection of both traditional and modern designs. Not far behind India in terms of assembly and export, Pakistan is also well-known for almost exclusively producing their rugs by an artist’s hand versus using a machine. Pakistan’s high-quality, high-KPI (knots-per-inch) rugs tend towards classic designs and traditional dyes, and are put together using blends of both cotton and wool in direct response to Western consumers’ preference to softer, suppler carpets. Though sanctions have slowed down the export of rugs coming from Iran, the country is still one of the top producers and exporters in the entire world. From the area of Iran have arisen some of the most extraordinary carpets in history, and it is also the birthplace of a great number of techniques, designs and processes used in the manufacture of handmade Oriental rugs. Because of these sanctions, which has resulted in decreased sales worldwide, Iran has mostly produced traditional designs and long-established color schemes. However, recent changes in policy may open the world’s market again to the country, and give Iran an opportunity to reestablish its substantial rug exporting business. Rugs from Afghanistan have always been prized by collectors, yet in the past few decades, social and political unrest has caused the country’s industry to suffer greatly, leading to a marked decline in the number of rugs being produced and exported. In fact, many factories which originally began in Afghanistan have moved to other countries, with the producers that still remain sending their rugs out to areas such as Pakistan for washing and finishing before being sold on the market – and usually under a Pakistan label. Come to our showroom or visit our rug shop to view extraordinary Turkish, Persian and Oriental carpets from around the world. Ahdoot offers every service available to rug collectors and enthusiasts, including cleaning, repair and appraisal on any carpet you purchase or already own. Visit us today!